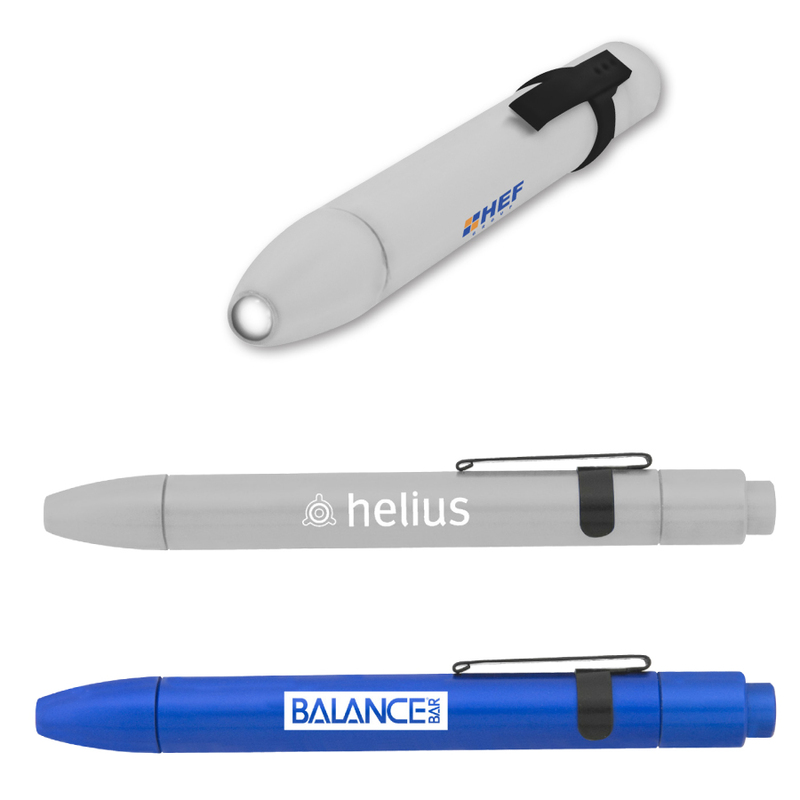 A high quality aluminium bright white LED�pen sized flashlight with a pocket clip.�Includes 1 AAA battery packed separately.�Individually packaged in a white box. We�recommend laser engraving. Printing will fade�over time. Colours: Blue or Silver, Dimension: 127mm long. Price includes : 3 Day Service* . Setup is included.